Welcome to the world of Lundby - Since 1947, Lundby has been providing the most contemporary doll's house to its generation. 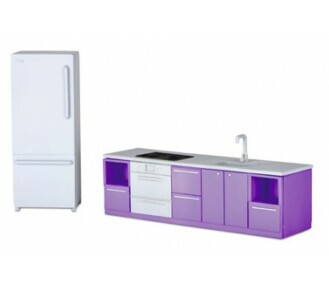 With two ranges to choose from Lundby continues to keep up with the times. There's the classic Smaland which is the same style house as the founding original Gothenburg doll’s house dating back to 1947 which can be raised thanks to an extension level and also has a winter and summer gardens to choose from. And then there’s the 2013 Stockholm architect-designed doll's house with two entertainment decks, a pull-out drawer pool and open living areas. 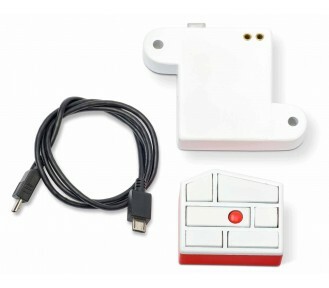 Both doll's houses features Lundby's unique pioneered 4.5 volt child safe lighting system. 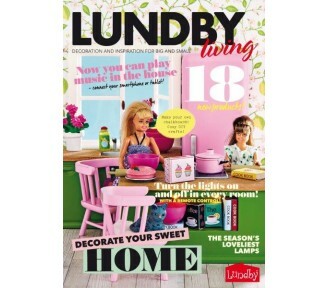 This starter pack is based on 3 units of each item in the Stockholm range including 3 transformer ..
Two boys for the Lundby doll's house. Are the boys best friends? Or twins? In Lundby's world you de..
Two girls for the Lundby doll's house. Are they friends, or perhaps sisters? 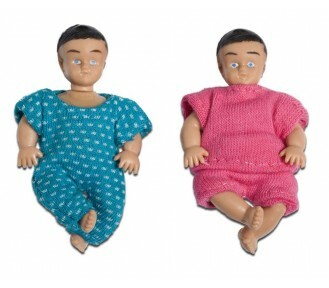 In Lundby's world you .. Beautifully featuring the 3 ranges in page turning detail. Not only in an easy refernce format by.. 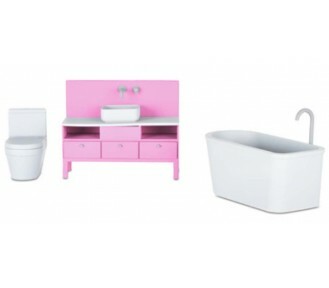 Designed for the young Lundby enthusiast. 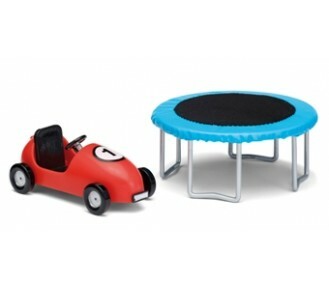 Suitable for 3+ .. 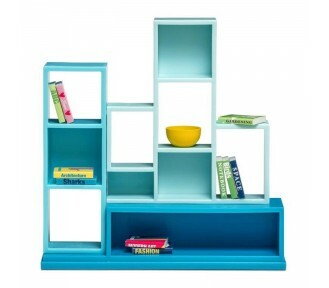 Create a classic library at home, with a modern touch. 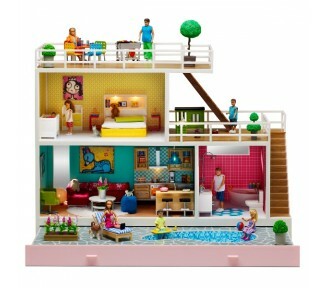 This Lundby set includes a bookshelf, a fruit..
We want our houses to reflect the age in which we live – from the very foundations to the curtain pe.. 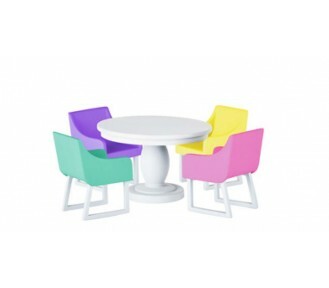 This set includes the new creative house with sticker set, the five basic furniture sets and the new..
More vinyl removable sticker decorations are designed for the glossy surfaces of your Lundby Creativ..
A set of dolls for the Lundby doll's house. The set consists of a mummy and a daddy and two small ba.. 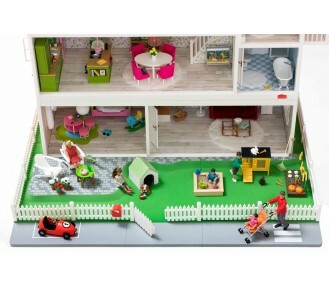 This set includes three power boards, 5 replacement bulb sets and a spare extension level connection..
One of the family members in Lundby's little world. He has a tennis racket with him and would love t.. In the little world of Lundby, people of all generations enjoy spending time together. Maybe grandma..
One of the family members in Lundby's little world. 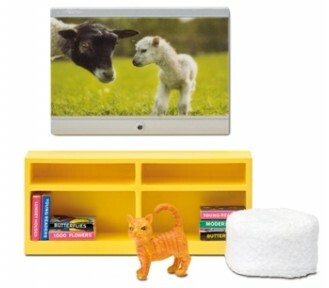 She has her computer with her and is ready to mo..
Share your Lundby videos in store to get in the Lundby mood. Available for orders of over $1000. 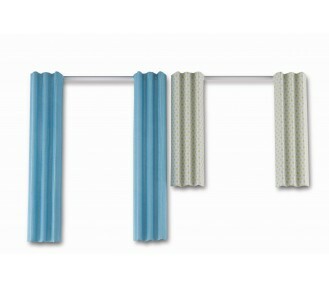 ..
New for 2015 and only suitable for Lundby Smaland is the remote control which allows you to turn on ..
Curtains are an essential for any house to be turned into a home. The Lundby doll's house is no exce.. 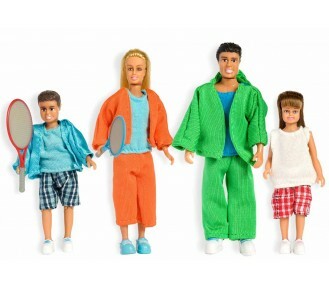 The new Lundby family are all rugged up and ready for some serious fun outside. The clothes have .. This great new garden covered in snow like fabric with walled garden is ready for winter sport. .. 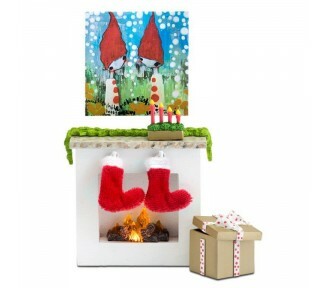 This set is packed with skis and sledge ready for a fun-packed winter holiday as well as a snowman a.. This is a really gorgeous set. 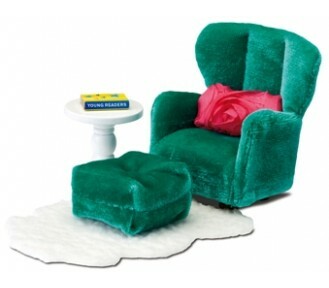 Velvet covered armchair and matching ottoman in a rich turquoise velv.. These cute babies can move their arms and head. The clothes have openings at the back, making it .. 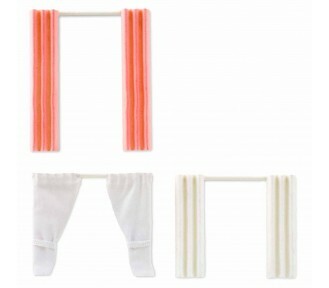 This cute baby set includes a high chair, cradle and bouncer - all in complementing linen. The set a.. 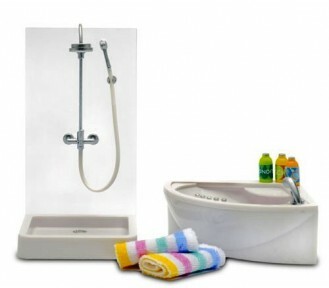 The new bathroom features a classic looking marble-topped vanity, a light and loads of fabulous bath.. This traditionally stylish brass bed comes with two matching bed side tables. The sweet counterpane .. This white wooden bedroom set has fresh white linen topped with velvet heart shaped cushions and inc.. 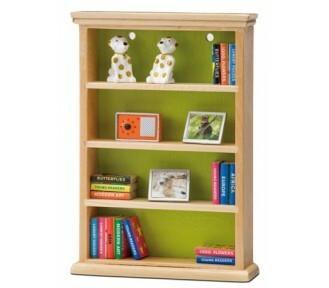 This wooden bookcase is packed with accessories from loads of books (naturally) to ornaments that ma..
One of the favourite pieces in the Lundby range is this children's bedroom set where the bunk beds c.. Naturally, the doll family want to celebrate Christmas! The Christmas tree is decorated and Santa Cl.. 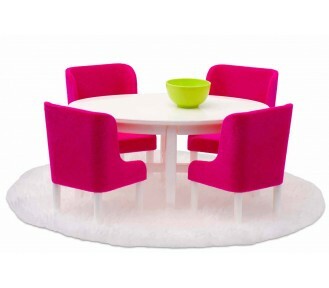 This elegant new dining room set includes deep pink armchairs around a white wooden table. The se.. 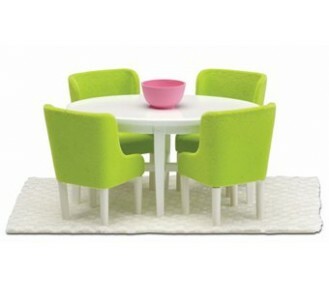 This lime green dining room set is so fresh with its white wooden table and lime green carver-styl.. 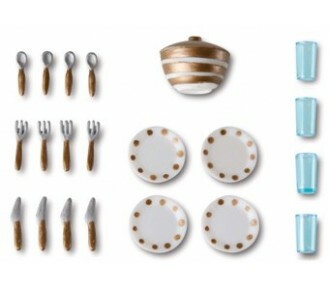 The new gold and white dinner setting four four includes drinking glasses, crockery, cutlery and a s.. 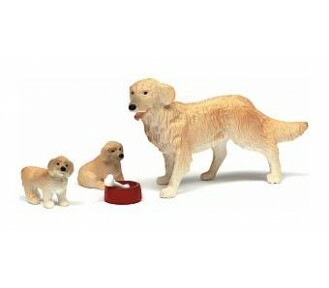 The Lundby family isn;t complete without its dogs. 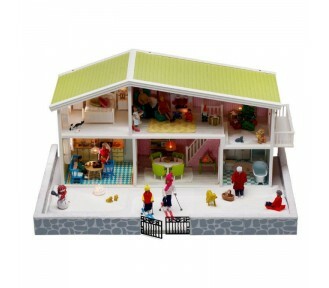 The family comprises a lovely Golden Retriever an..
Lundby Småland offers plenty of space for playing, both indoors and out, and can easily be expanded .. 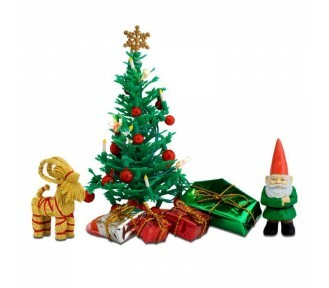 This set is absolutely essential for that Christmas theme with Christmas Stockings and present. .. This glorious new Lundby garden includes a large patio area, rockery style edging, a picket fence wi.. 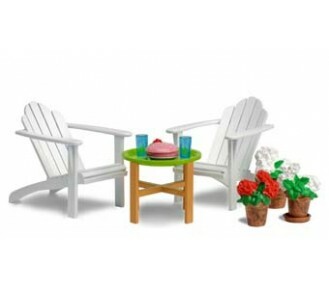 This classic garden set includes 2 comfortable armchair style garden chairs and a table laden with c.. 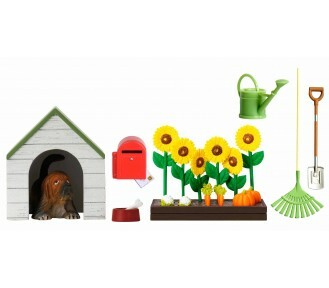 This cute garden set includes a kennel and dog with dog bowl and bone, a flower bed full of sunflowe.. 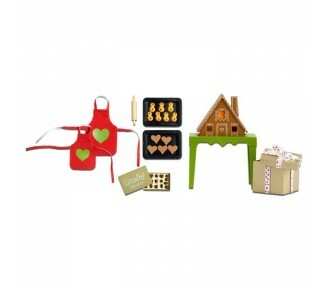 This gorgeous set includes a table with a gingerbread house that lights up, baking trays and cookies.. 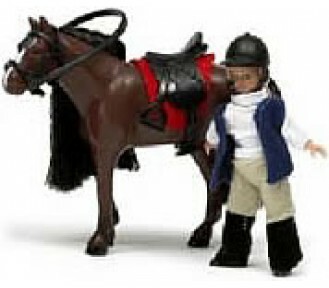 This horse and rider set includes a chestnut coloured horse with a blond rider. The doll's leg.. 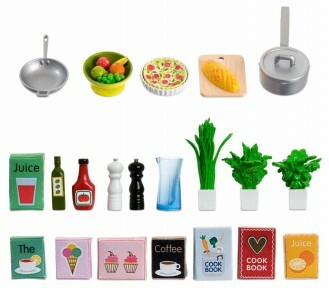 This miniature food set includes sauce pans, wok, fruit, colander, herbs, seasoning, food packs and .. 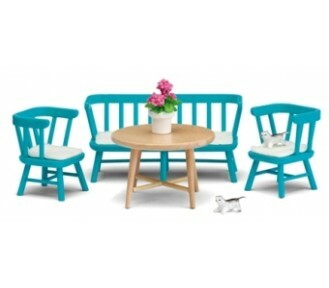 The new kitchen furniture in turqouise with a natural wooden table make a lovely complement to new S.. 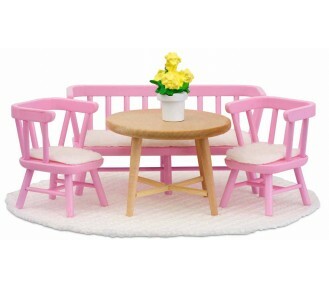 The kitchen dining room set includes pink bench and matching chair with sheep skin cushions around a.. 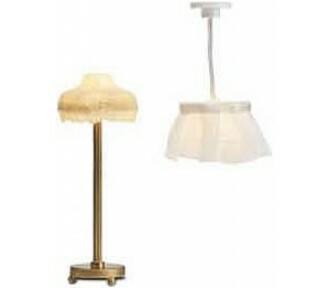 This lamp set includes a floor and ceiling lamp. .. 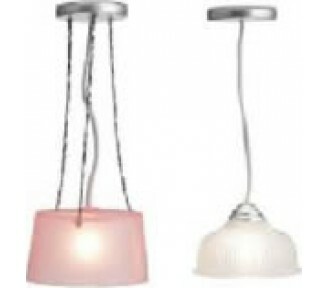 This set includes two ceiling lamps. .. 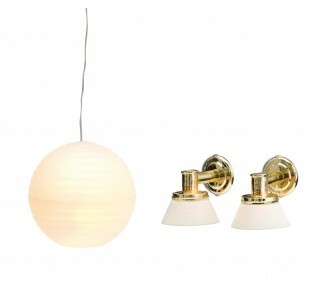 This set includes a ceiling lamp and two wall lamps. .. 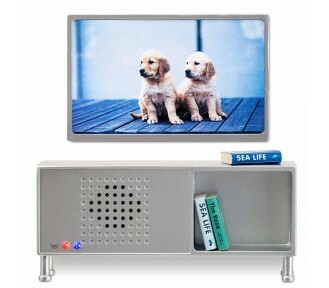 This great new entertainment unit features Bluetooth so you can play the music you want. The TV l.. 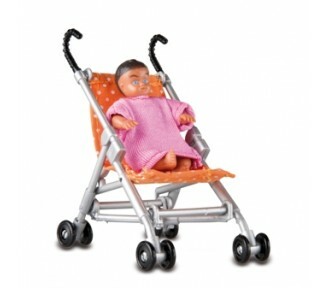 This cute little baby is dressed and comes in a ritzy gold stroller. .. 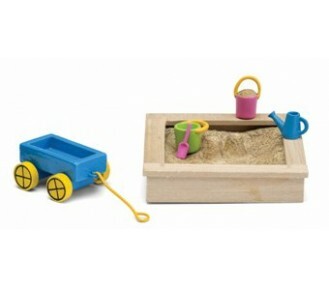 This cute wooden sandbox included fixed sand, little wooden buckets, watering can and trowel as well.. 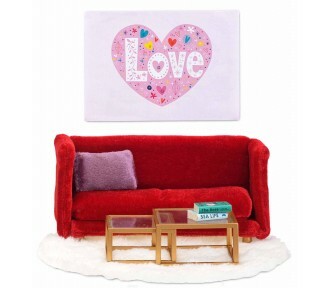 This plush red sofa set includes a violet cushion, fluffy white rug, staggered coffee tables and a p.. The TV set includes a wall-mounted plasma TV, a bookshelf with a pile of books, a fluffy white ottom.. 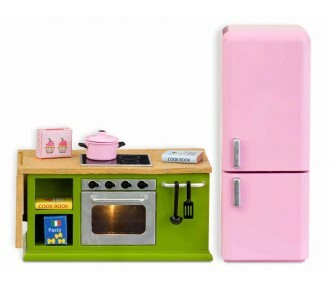 This great new kitchen set is a perfect centre piece to the new open plan living room with a prop up.. 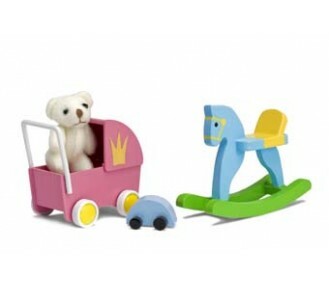 The new toy set includes the favourites such as the teddy bear and car as well as the rocking horse .. 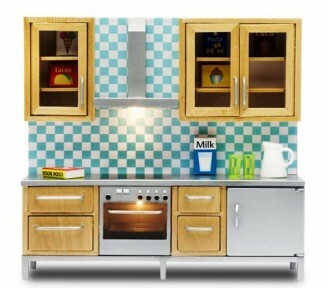 This is a bit of a star new arrival and a great addition to any Lundby house. The all-essential tram.. 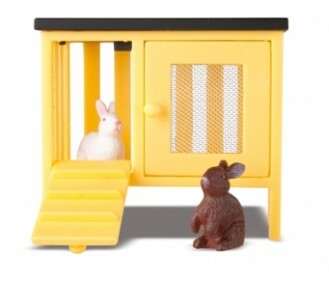 This cute rabbit hutch with two rabbits is a must for any Lundby garden! .. 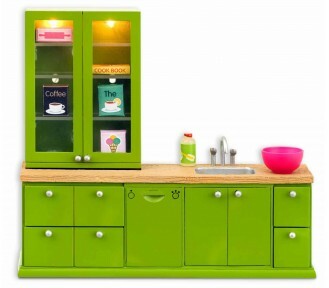 This new open plan kitchen set features classic styling and funky bright colours. The set includes m.. 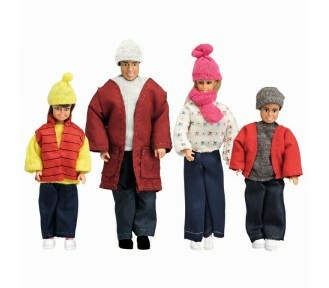 The new Lundby family are all rugged up and ready for some serious fun outside. .. 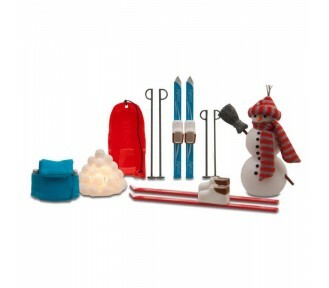 This set is packed with skis and sledge ready for a fun-packed winter holiday as well as a snowma an..
Use these lamps to create beautiful lighting in your doll's house! 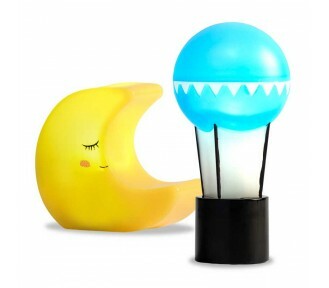 The set includes a hot air bal.. 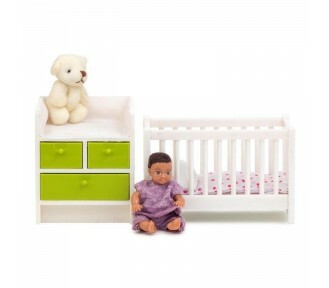 The Lundby dolls house cot and change table are sweet and very popular accessories for the tiniest m.. 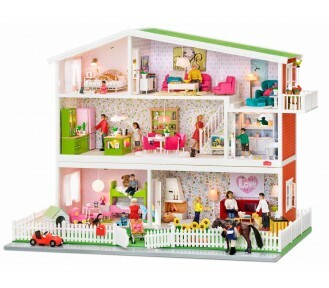 The 2013 Stockholm doll's house has bright wall papers and accessories to make this glorious house a.. 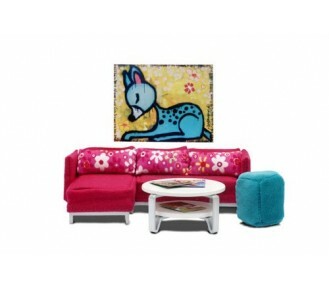 This set includes two funky serge green armchairs, a large fluffy rug and wall-mounted plasma TV set.. Packed with even more accessories. .. 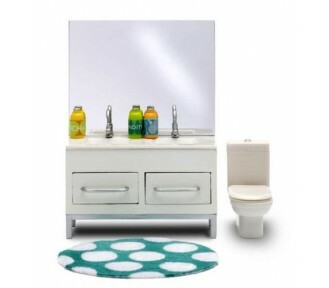 Packed with even more accessories, this bathroom set sees a fresh look to complement the refurbishme.. 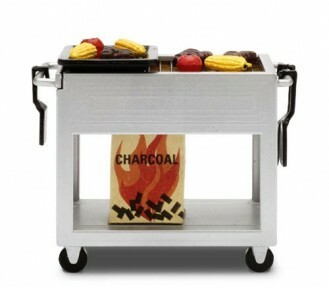 The bbq comes wired so it can light up and includes a bag of charcoal, bbq tools and steaks, corn on.. 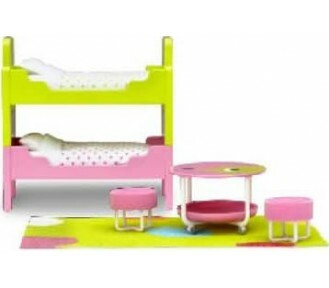 This new addition to the Lundby Stockholm bedroom set has back lighting in the head board and acceso.. 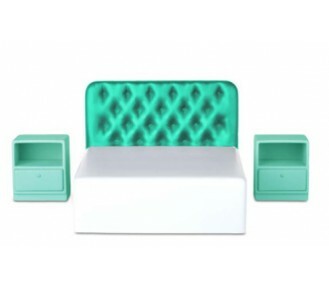 This new set includes a sturdy cot with bedding and a cute teddy bear, a change table with drawers a.. 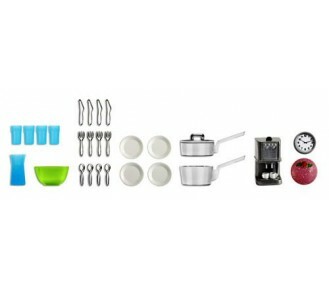 This kitchen accessories set includes even more goodies: 4 sets of crockery and cutlery, a bowl, a c.. Packed with even more accessories. 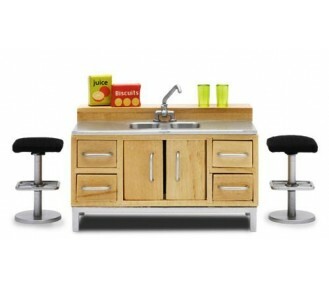 This wooden bar comes with a cupboard, four drawers and two bar s.. 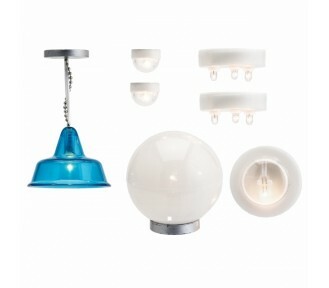 The new Stockholm kitchen is packed with even more accessories and features underskirt lighting and .. 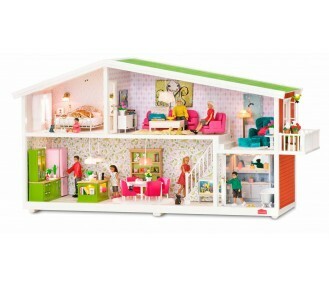 The new lamp set ensures that every space in the Lundby Stockholm doll's house is lit to its best ef.. 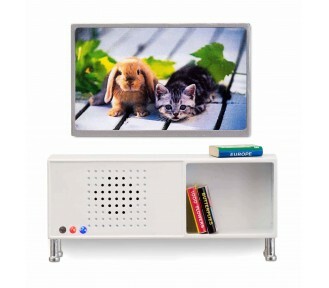 This great new entertainment unit features a TV and Music unit set with a built-in Bluetooth speake.. 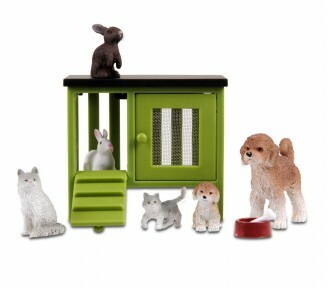 The doll family's pets love playing and getting up to mischief. 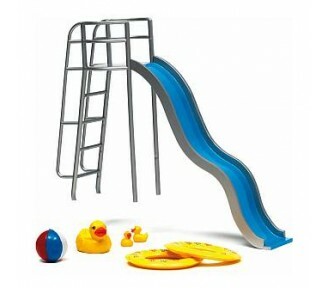 The two rabbits, the cat with its ki..
How cute is this pool side set complete with slide, rubber rings, rubber ducks and beach ball. Sl.. 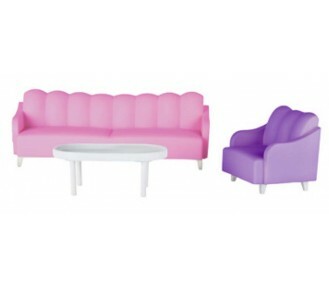 The new pink sofa set allows our Lundby family to watch their new wall-mounted plasma TV in comfort .. This new-look family embraces a healthy life-style! The clothes have openings at the back, makin.. 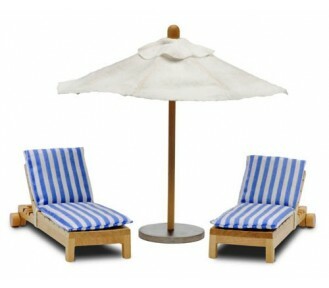 This new sunbed set includes 2 sunbeds with quilted sun cushions and a parasol. .. 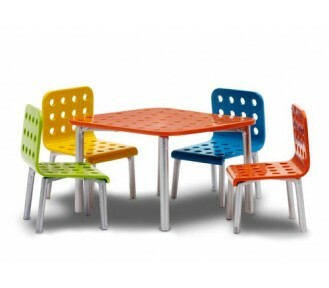 The new furniture for the terrace brings colour and a fresh funky approach to the outdoor setting. .. 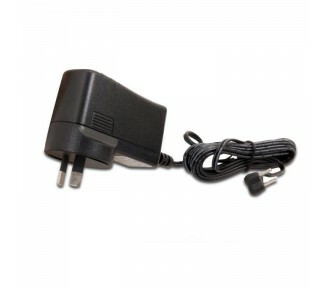 The transformer plug converts 240 volt to a child safe 4.5 volt. 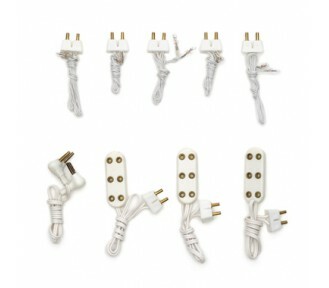 This is needed to activiate the lig.. 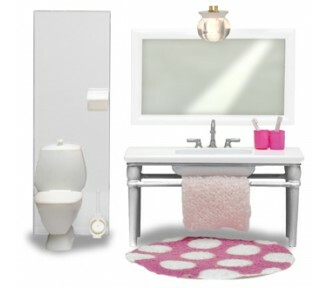 These great vinyl sticker decorations allow the whole house to get a brand new theme including rever.. 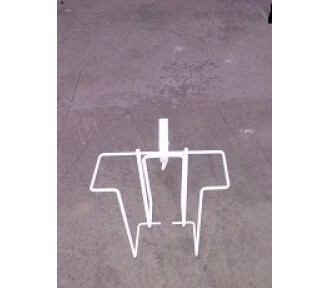 This metal brochure holder is white and fits the Lundby Consumer Brochures. ..